with a belt or a waist facing it's a classic, eternally revisited. It's currently worn at the knee and may have a slot open or covered at different locations (mid back or front, one or both sides). If it's allowed by the fabricc, you can avoid mounting a lining. a great curve rule for all of your side hip strokes. with a belt or a waist facing it's a classic, eternally revisited. It's currently worn at the knee and may have a slot open or covered at different locations (mid back or front, one or both sides). 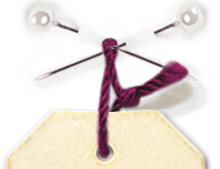 If it's allowed by the fabric, you can avoid mounting a lining. chic or more casual, the fabric choice will determine the style of your skirt. If the fabric contains a percentage of polyester, the skirt will be less easily crumpled and with a bit of lycra, you will add some comfort. if the skirt length allows it and if you have enought place, put the belt as straight grain. 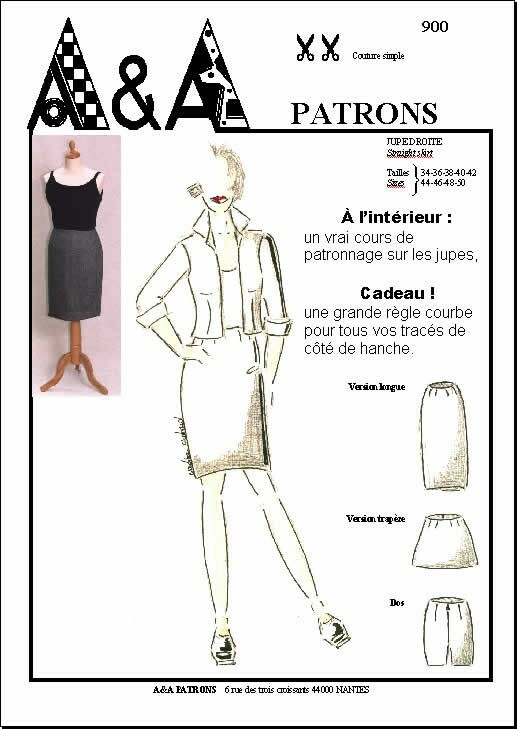 If the skirt is longer or shorter than the pattern you will add tout the lenght of fabric indicated the difference of length between the pattern and what you want for the skirt (2 times the difference if the skirt is cut with 2 heights). For the flared skirt, if you want it long, you have to take two heights of skirt. When you cut a flared skirt with belt and covered slit with 90 cm width fabric, a seam will be necessary at the belt.